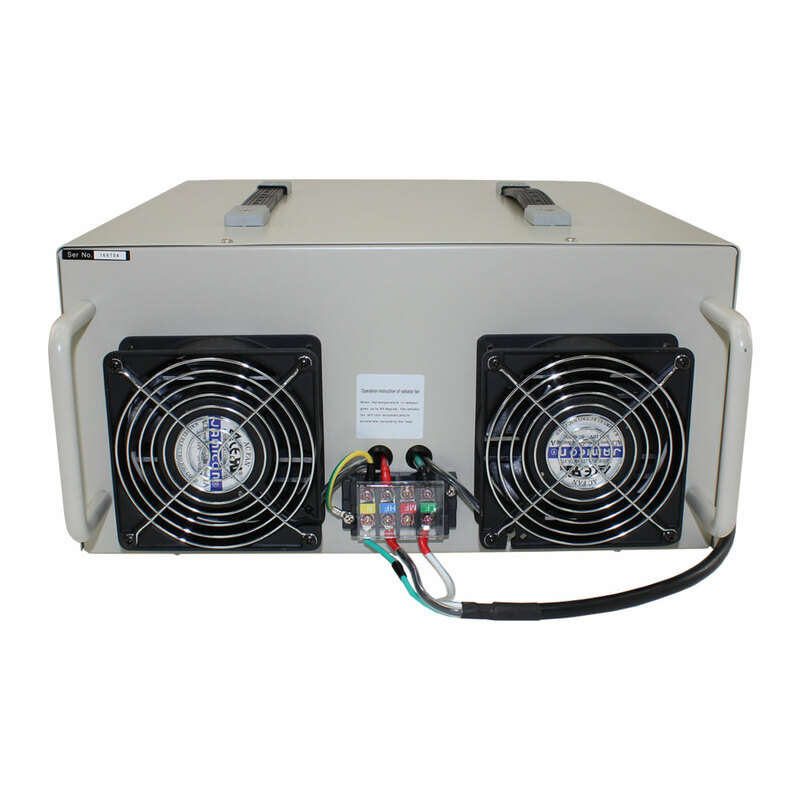 A super heavy duty regulated and linear bench power supply that tips the scale at 81 lbs. 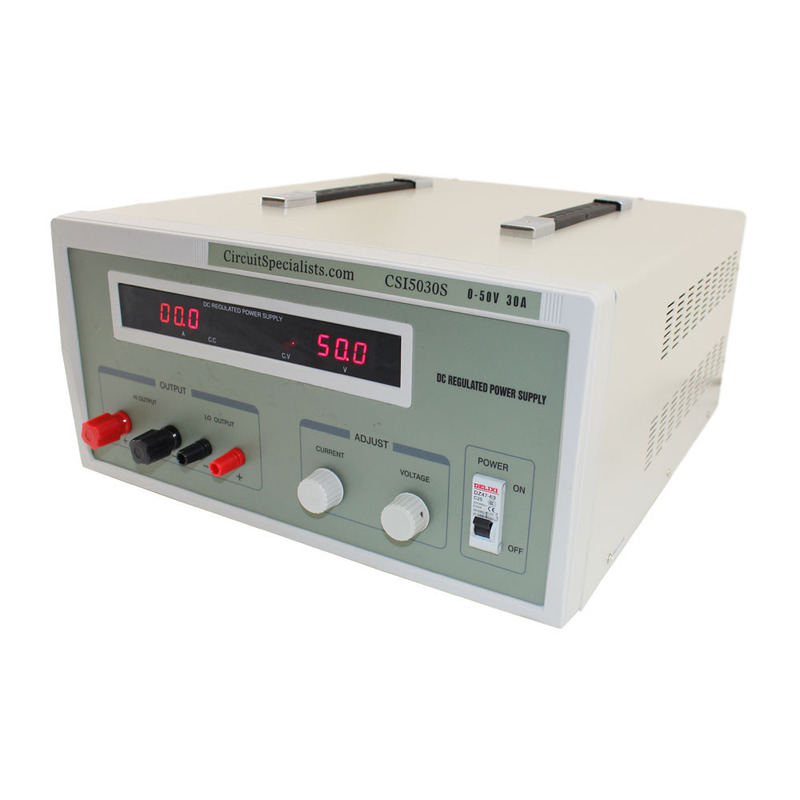 This bench power supply provides variable voltage from 0-50V and current from 0-30A. 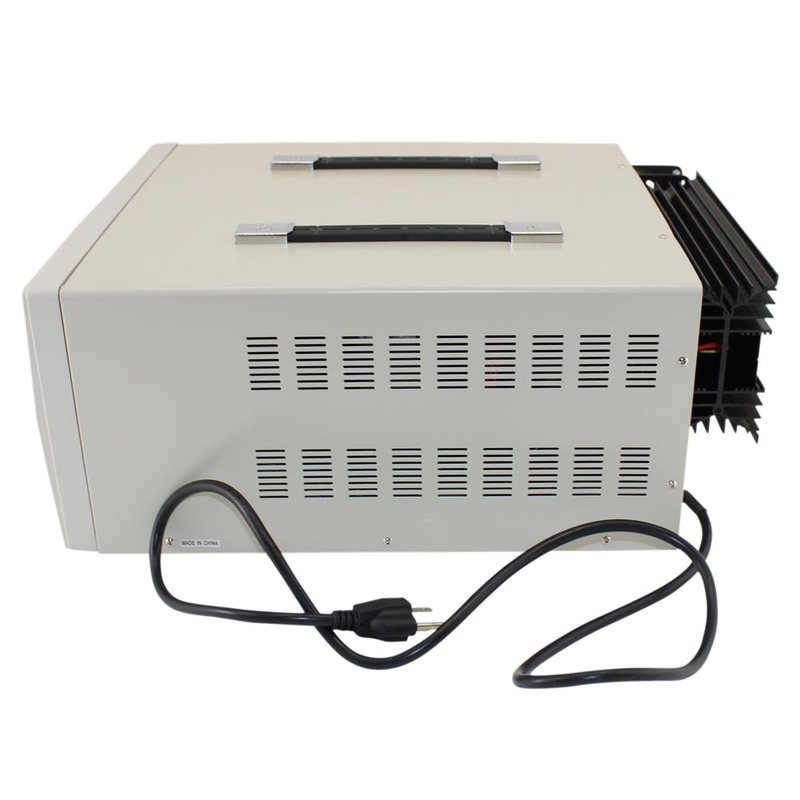 A massive heat sink with built in fan protrudes out the back to keep this one cool. 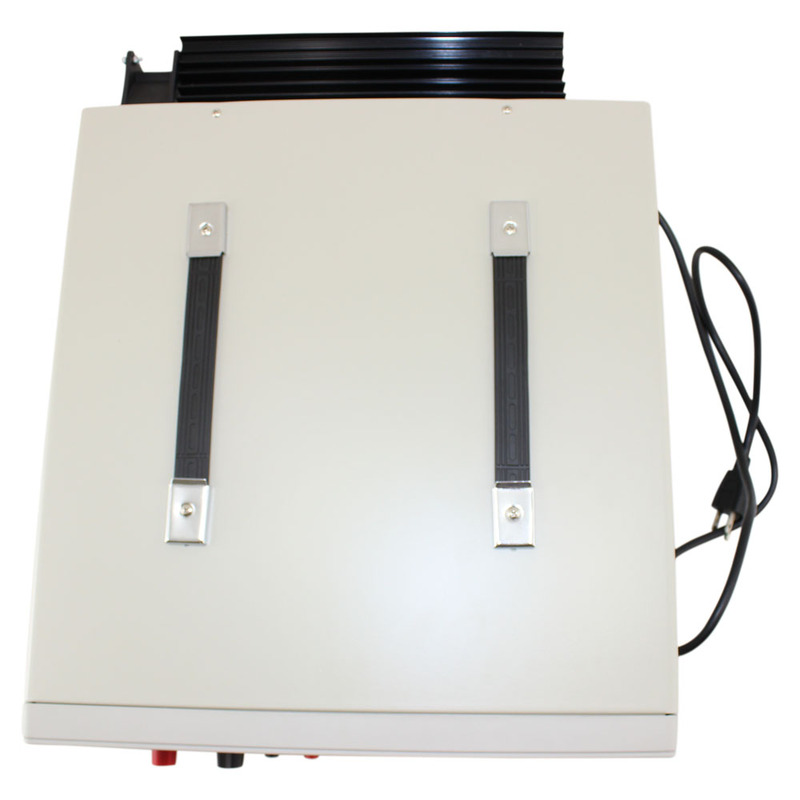 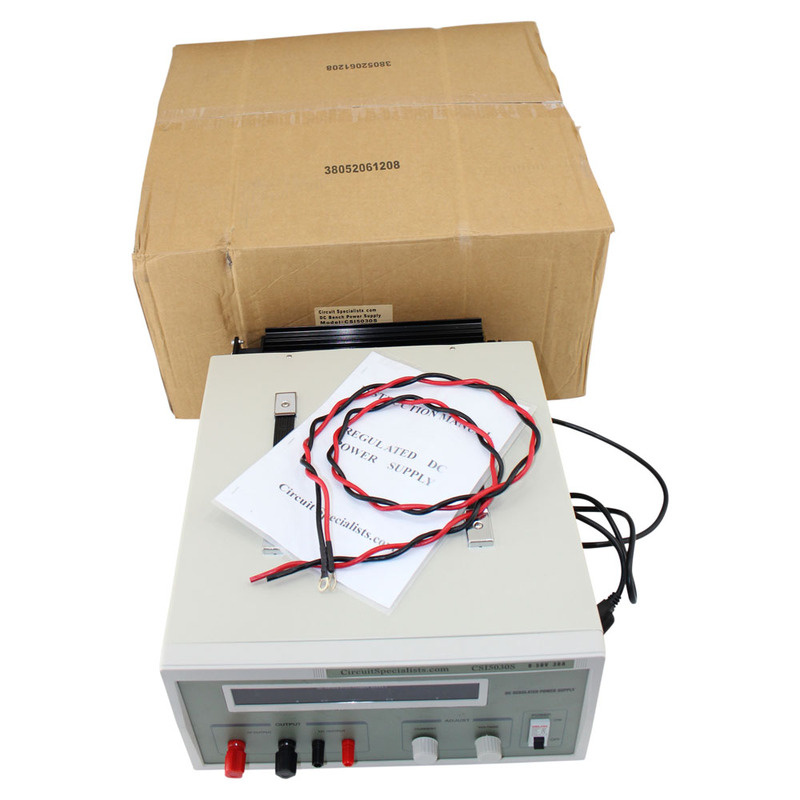 This bench power supply has multi-loop high precision voltage regulation, automatic voltage and current stabilizing conversion, automatic radiant cooling system and over-heating protection. 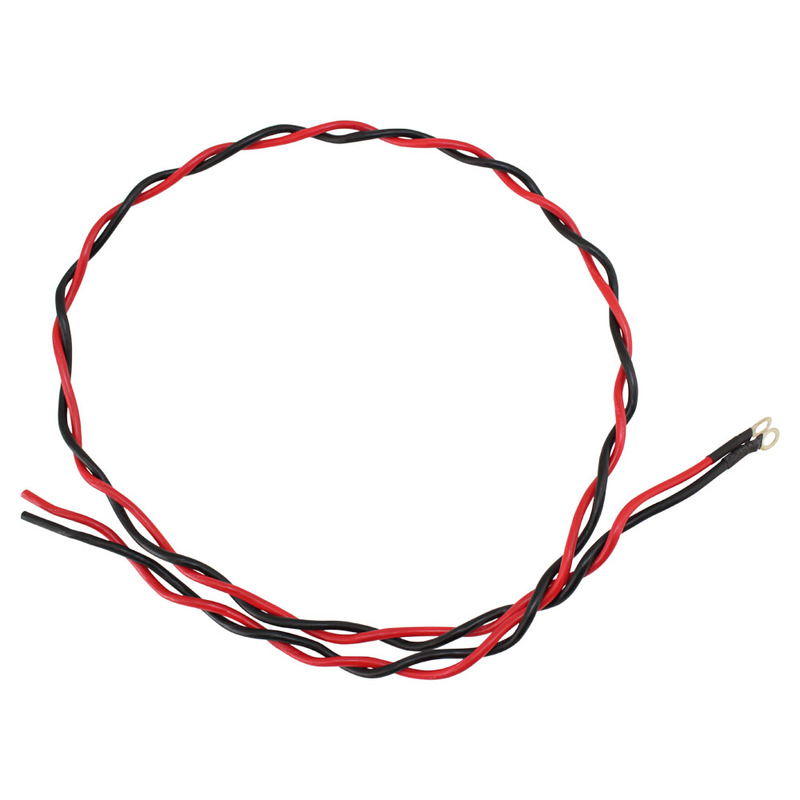 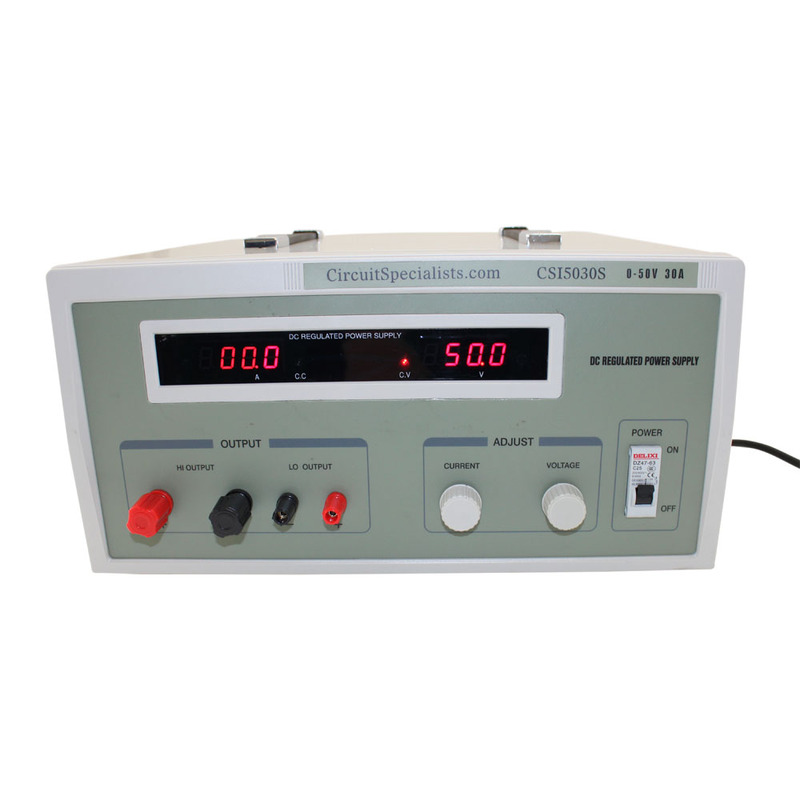 For those seeking a benchtop power supply for a demanding application but at a price that is very reasonable....now it is available from Circuit Specialists, Inc.
Dimensions: 19-1/2 x 15-3/4 x 7-3/4"